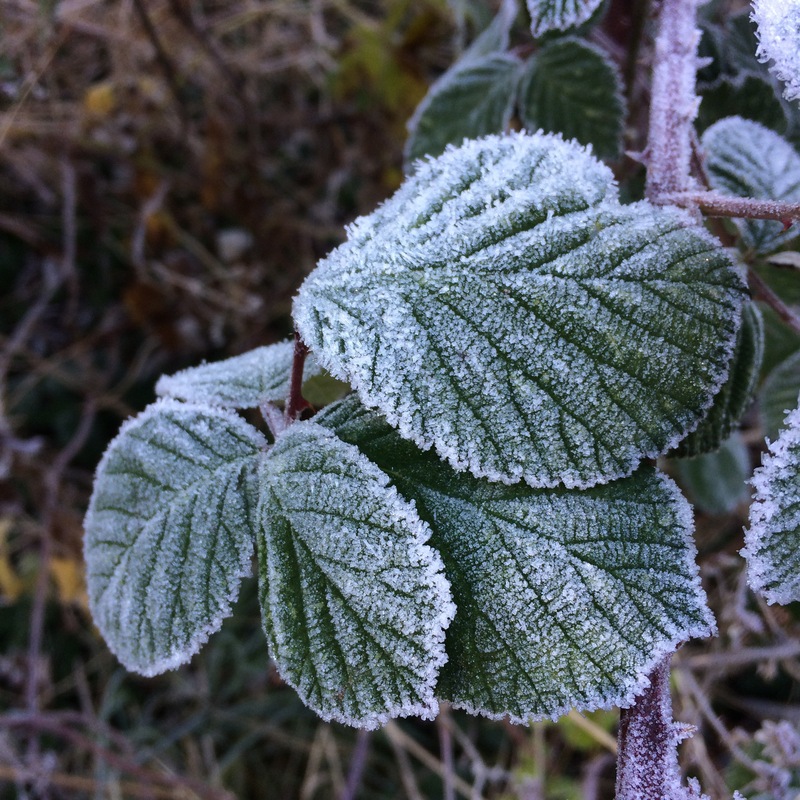 Yesterday was a chilly morning for our year ones at Forest School; it was -4 C at 9.30 when they arrived and still only -1 C when they left at 11.30, despite the sun shining all morning. The children were sensible and wore plenty of layers as well as hats and gloves and we were careful not to let them sit still for too long, making sure that they were busy with gross motor activities for most of the session to keep them warm. These children have been coming to forest school for five weeks now and their resilience has really improved over this short time – we barely had a single complaint about the cold (except from the grown ups!) 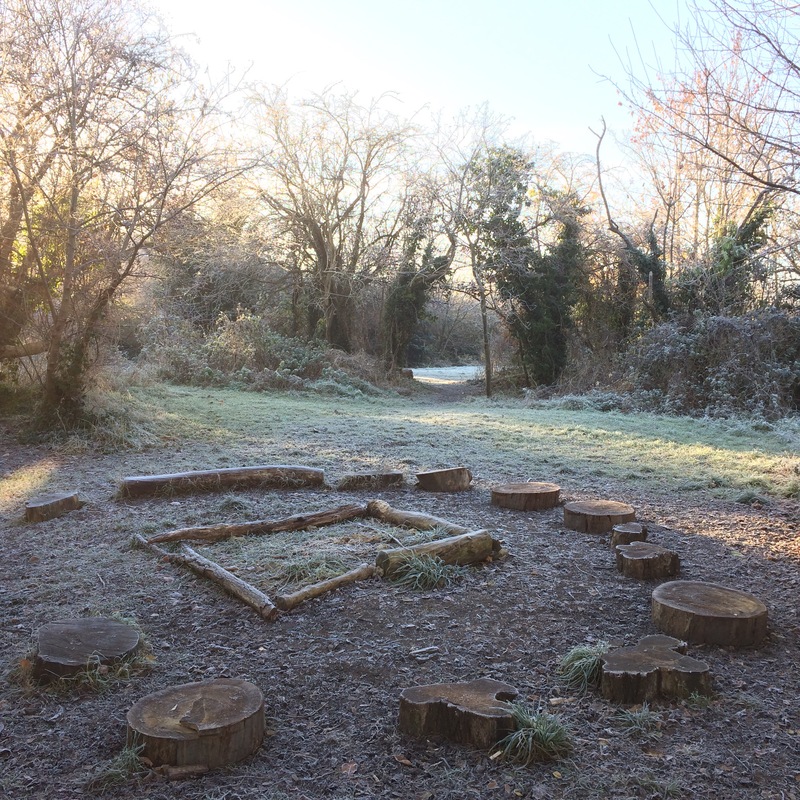 and the children enjoyed themselves as much as ever, and loved exploring their site in this beautiful frosty weather. Regular outings to forest school, especially in all weathers, is proven to increase children’s resilience and this class is no exception. “Wild Bee Forest School has been instrumental in aiding my daughter’s motor development. In less than two months of weekly sessions at beautiful Rock Edge she’s progressed from crawling to cruising to finally, at the grand age of 20 months, taking her first steps and almost immediately becoming a confident walker. The safe, natural environment with different terrain has enabled her to progress so much and her physiotherapist was delighted when she heard of C’s Thursday adventures! I can’t recommend these sessions highly enough. I get to spend quality time with her while she explores the site, plays in the mud kitchen with her friends and cooks stick bread on the fire. And I get a hot cup of tea! We return home muddy and smoky and singing about our adventures and looking forward to what might happen next week.” R, mum of C, 22 months. “This is the best day in the world. Can I come again?” O, 2 years and 11 months. “Wow! One session and my son and I were hooked! Although the experiences appear to be spontaneous, Bea has carefully considered the environment and expects the children to take advantage of everything the site has to offer. And of course they do. She makes it clear that the site, like the learning, belongs to the children and they embrace this wholeheartedly. Without parental interference children’s imaginations are set free. I see children waving sticks around. My son, of course, knows better! One would expect an environment like this to be riddled with rules and permissions but Bea keeps things simple and trusts people, big and small, to respect the environment and each other, and by her example, they do. I love the fact that my four year old is able to play ‘unsupervised’. He’s having fun, but he’s learning all the time, just as generations of children have done before him, and these positive experiences of being outdoors and free will no doubt instil in him a love of the great outdoors in a way that cannot possibly be ‘taught’. In a world which is becoming increasingly controlled, and ‘safe’, this is a rare opportunity for children to embrace life, risk, childhood.” H, mum of W, 4 years.